Two developments from the ABA Annual Meeting – which one will have the bigger impact? The 2016 ABA Annual Meeting continues today and tomorrow but the two actions for which it likely will be most remembered have already transpired. One happened Monday when, after much public discussion and multiple revisions to the proposal along the way, a final set of proposed revisions to ABA Model Rule 8.4 was approved in a voice vote by the ABA House of Delegates. As this short article at The ABA Journal makes clear, after all of the criticism over many months, no one requested time to speak against the final version of the proposal. You can see the full, final version of Revised Resolution 109 that passed here. I’ve written twice before about earlier versions of the proposal here and here. The action adds a new RPC 8.4(g) designed to make harassment and discriminatory conduct by lawyers connected to their law practice unethical. A last set of revisions were made to the proposal in just the last month to change the triggering conduct from potential strict liability of “harass or discriminate on the basis of,” to a more favorable mens rea standard of “engage in conduct that the lawyer knows or reasonably should know is harassment or discrimination on the basis of” and to clarify that “legitimate advice or advocacy consistent with these Rules” would not be prohibited by moving the language protecting such conduct from the comment up into the black-letter rule itself. It is certainly a significant and historic event for the ABA to have passed this rule revision, and I don’t mean to downplay the significance from the standpoint of the ABA as the largest lawyer organization in the United States. But, what will be the impact exactly of this action? The ABA Model Rules do not, of course, actually govern anyone anywhere. They are, however, a standard setter and often result over time in adoption and implementation in other U.S. jurisdictions. Will this change to RPC 8.4 work its way through the states? Well, it is kind of hard to say because one of the big advocacy points of the ABA change was the assertion that 20 states already had a form of the anti-discrimination provision in their version of the rule, so as a starting point this is a change that only targets 30 states. As a lawyer who practices in the deep South, I will simply state my skepticism about how quickly my own state and the various bright red states around me will move to revise a version of RPC 8.4 not already prohibiting harassment and discrimination. I’d love to be proven wrong about that though. But, given the ABA’s problematic history over the years with efforts at exploring nonlawyer ownership of law firms, it is hard to figure out how “studying innovations in legal services delivery in other countries,” truly leads to anything other than yet another obvious conclusion that the innovations in the delivery of legal services occurring in other countries pretty much involve nonlawyer ownership of law firms. It doesn’t require much additional study to grasp that point. Lest I end up sounding completely like Eeyore today, the creation of the Center does not have to be the sole lasting legacy of the ABA Commission on the Future of Legal Services, one of the other recommendations the final report encourages should be implemented — involving making courts more accessible by doing things such as embracing online dispute resolution and self-service kiosk centers — might actually have the most significant potential to assist with perceived, and real, access to justice gaps in the United States, even though it might not be of any benefit to the legal profession. RECOMMENDATION 1. The legal profession should support the goal of providing some form of effective assistance for essential civil legal needs to all persons otherwise unable to afford a lawyer. RECOMMENDATION 2. Courts should consider regulatory innovations in the area of legal services delivery. 2.1. Courts should consider adopting the ABA Model Regulatory Objectives for the Provision of Legal Services. 2.2. Courts should examine, and if they deem appropriate and beneficial to providing greater access to competent legal services, adopt rules and procedures for judicially-authorized-and-regulated legal services providers. 2.3. States should explore how legal services are delivered by entities that employ new technologies and internet-based platforms and then assess the benefits and risks to the public associated with those services. 2.4. Continued exploration of alternative business structures (ABS) will be useful, and where ABS is allowed, evidence and data regarding the risks and benefits associated with these entities should be developed and assessed. RECOMMENDATION 3. All members of the legal profession should keep abreast of relevant technologies. RECOMMENDATION 4. Individuals should have regular legal checkups, and the ABA should create guidelines for lawyers, bar associations, and others who develop and administer such checkups. RECOMMENDATION 5. Courts should be accessible, user-centric, and welcoming to all litigants, while ensuring fairness, impartiality, and due process. 5.1. Physical and virtual access to courts should be expanded. 5.2. Courts should consider streamlining litigation processes through uniform, plainlanguage forms and, where appropriate, expedited litigation procedures. 5.3 Multilingual written materials should be adopted by courts, and the availability of qualified translators and interpreters should be expanded. 5.4. Court-annexed online dispute resolution systems should be piloted and, as appropriate, expanded. RECOMMENDATION 6. 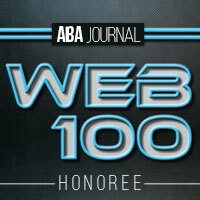 The ABA should establish a Center for Innovation. RECOMMENDATION 7. The legal profession should partner with other disciplines and the public for insights about innovating the delivery of legal services. 7.1. Increased collaboration with other disciplines can help to improve access to legal services. 7.2. Law schools and bar associations, including the ABA, should offer more continuing legal education and other opportunities for lawyers to study entrepreneurship, innovation, the business and economics of law practice, and other relevant disciplines. RECOMMENDATION 8. The legal profession should adopt methods, policies, standards, and practices to best advance diversity and inclusion. RECOMMENDATION 9. The criminal justice system should be reformed. 9.1. The Commission endorses reforms proposed by the ABA Justice Kennedy Commission and others. 9.2. Administrative fines and fees should be adjusted to avoid a disproportionate impact on the poor and to avoid incarceration due to nonpayment of fines and fees. 9.3. Courts should encourage the creation of programs to provide training and mentoring for those who are incarcerated with a goal of easing re-entry into society as productive and law-abiding citizens.9.4. Minor offenses should be decriminalized to help alleviate racial discrepancies and over-incarceration. 9.5. Public defender offices must be funded at levels that ensure appropriate caseloads. RECOMMENDATION 10. Resources should be vastly expanded to support long-standing efforts that have proven successful in addressing the public’s unmet needs for legal services. 10.1. Legal aid and pro bono efforts must be expanded, fully-funded, and better-promoted. 10.2. Public education about how to access legal services should be widely offered by the ABA, bar associations, courts, lawyers, legal services providers, and law schools. RECOMMENDATION 11. Outcomes derived from any established or new models for the delivery of legal services must be measured to evaluate effectiveness in fulfilling regulatory objectives. RECOMMENDATION 12. The ABA and other bar associations should make the examination of the future of legal services part of their ongoing strategic long-range planning.